Priest Holmes enjoyed watching the World Series with the company of Kansas City Chiefs greats! 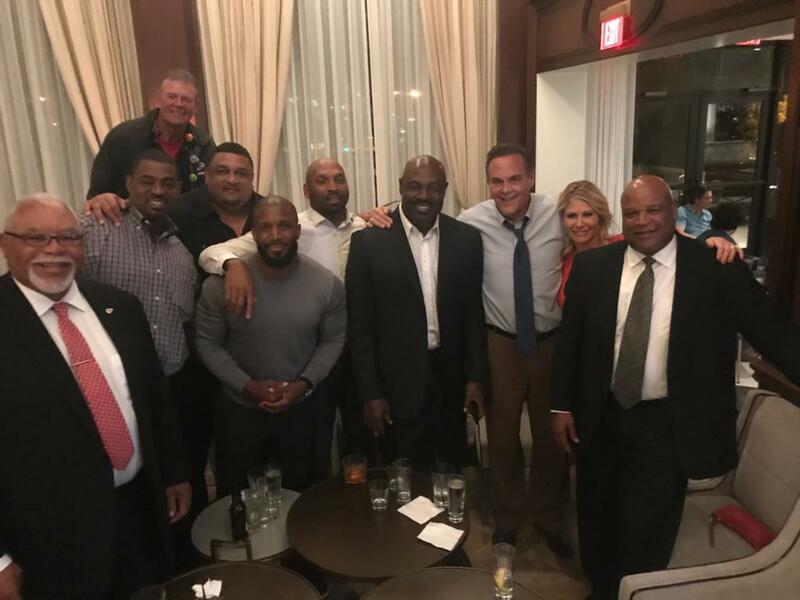 During Red Coaters week in Kansas City, Priest joined former Chiefs players Curley Culp, Duane Clemons, Steve DeBerg, Willie Roaf, Eric Warfield, Christian Okoye, Nick Lowery, Deron Cherry and Hope Cherry to watch the Houston Astros win Game 5 of the World Series. The former players discussed their favorite memories and the success of the current Kansas City team.